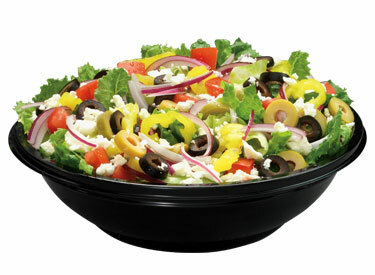 Our Mediterranean salads are made from the freshest ingredients. Starting with a blend of crispy iceberg and romaine lettuce, red onions and tomatoes. Followed with black & green olives and banana peppers. Add grilled chicken for an additional fee.